Sitting on an attached acrylic base, this circle shaped acrylic award is a definite pleaser. 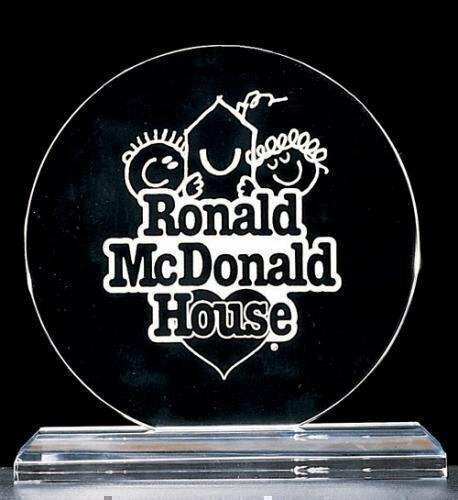 Simple in design, elegant in nature it is 3/4" thick acrylic award. Jade only. Presentation boxes not included.